Perry (Homepage) wrote: Just at the right moment, and good use of fisheye. tino (Homepage) wrote: Very nice shot, man! Perfect angle. sherri (Homepage) wrote: This is adorable. 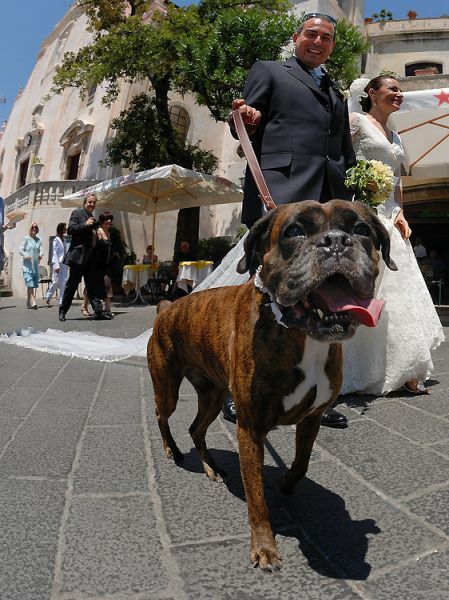 I love their decision to have their dog at the wedding. I wanted to do that, but it wasn't possible. Excellent capture. kevin (Homepage) wrote: Really nice angle! Great shot! Lasse (Homepage) wrote: Fantastico! Mi piace moltissimo! Assoluttamente a different wedding photograph. Greetings from Finland!